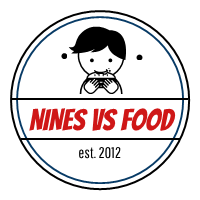 My name is Nines and I have been blogging about my food and life adventures since 2012. Since then, I've had some of the best experiences I've ever had such as traveling, exploring the latest food trends, maintaining a healthy lifestyle, meeting great people along the way, and spreading only nothing but good vibes! Any ideas you may want to share, or questions that you would like to ask? Do send me a message at nines(dot)licad@gmail(dot)com or send me a DM on my instagram page @nineslicad for your queries.